HAPPY SAINT PATRICK’S DAY! 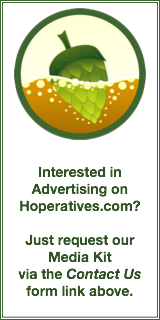 – See our earlier post for special beer events today. • Narrow Path Brewing – Grand Opening today starting at 8:00 am. Their motto is “Craft. Community. Cause.” and they are proving it by having a portions of today’s proceeds go to COTA in honor of Henry Rogers, a little boy from Loveland who is in need of a kidney transplant. • Christian Moerlein Brewing and Moerlein Lager House – Brunch, Beers, & Breweries Sunday at 10:30 am. See their web page for more information and to buy your tickets. • Jungle Jim’s – Friday night tasting from 5:00 to 9:00 pm at both locations. Pints are usually $3. This week, they are pouring beers from “bodacious brews from St. Patrick Party” at Fairfield and from MadTree at Eastgate. • Marty’s Hops and Vines – Saturday Brunch Series with Fifty West at 11:00 am. 1st course: Doom Pedal White Ale paired with a Cod fish cake with citrus butter sauce. 2nd course: Going Plaid Scotch ale paired with a Scotch Egg with sweet mustard sauce and blackberry jam. 3rd course: Paycheck’s Porter paired with Cheesecake bites with chocolate and caramel drizzle and sea salt. Cost is $29 and Reservations required. Call (513) 681-4222 or stop in. Beverage substitution and vegetarian options upon request. • BC’s Bottle Lodge – Founders Pint Night Friday at 3:00 pm. Beers include All Day IPA, Red’s Rye, Curmudgeon, Imperial Stout, Frootwood (Tapping @ 5pm), and KBS (Tapping @ 5pm). • Cappy’s Wine and Spirits – Rhinegeist Tap Takeover Saturday at 3:00 pm. 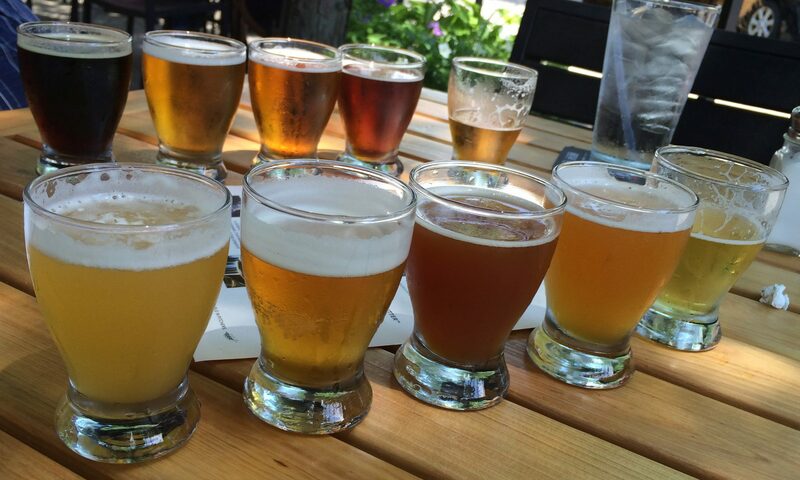 Beers include Pineapple Truth and Habanero Truth, along with Juicy Truth, Knowledge, Bubbles, and more. • Gypsy’s Mainstrasse – MadTree HOP EXTRAvaganza Saturday at 1:00 pm. Beers include Citra High, Experimental Pale Ale, Galaxy High, PSA, PsycHOPathy, Rounding Third, and TreeSearch 10.3.